On Day 3 of hearing of Sabarimala matter, Amicus Curiae Raju Ramachandran advanced the proposition that the ban on the entry of menstruating women between the ages of 10 and 50 years in the historic temple amounts to "untouchability" which is prohibited as per Article 17 of the Constitution. He drew the attention of the five judges bench to the Constituent Assembly Debates on the issue of untouchability, with special emphasis on the contributions of Prof. K. T. Shah. He emphasised that the framers of the Constitution did not envisage 'untouchability' as covering only caste-based discriminations and that it could cover gender-based discrimination as well.Mr. Ramachandran insisted that the ban is no different from the prohibition on entering places of worship against the Dalits, that the restriction on women is imposed on the ground of impurity and that untouchability, for the purpose of Article 17, could encompass the belief that one is polluted.He indicated how in Sardar Sayed Taher Saifuddin Saheb v. State of Bombay (1962), in his dissenting opinion, Chief Justice B. P. Sinha had compared the effects of excommunication with that of untouchability. However, like yesterday, the bench did not evince much interest to adopt the arguments based on Article 17. Instead, the bench observed that the contention should be that the restriction is not a practice entitled to the protection under Articles 25 and 26. Mr. Ramachandran contended that this inability was imputed to the notion of impurity caused by the monthly menstrual cycle. Next, Senior Advocate P. V. Surendranath, appearing for an intervenor supporting the petitioner, argued that all Fundamental Rights being interconnected, the right to worship fell within the freedom of expression under Article 19(1)(a). It was his submission that constitutional morality shall always prevail over any customary practice or usage. He submitted that the right of religious denomination to manage its affairs under Article 26 is subject to the condition of morality, which is, in fact, constitutional morality. He urged that a custom attaching impurity and perpetrating discrimination on the ground of gender clashes with the right to dignity. When Justice Indu Malhotra asked him to throw light on the position of private temples not obtaining any state funding, Mr. Surendranath asserted that if these temples are deemed to be public places- places of worship which are to allow open access to the general public, then such temples may not adopt such discriminatory practices either. Justice Malhotra also cited the example of Attukal Bhagavathy Temple in Kerala, which is exclusively for women devotees, and asked whether exclusion of men was discriminatory. Responding in affirmative, Surendranath submitted that it was equally discriminatory. In his turn, Senior Counsel Jaideep Gupta, appearing on behalf of the state of Kerala, advanced that the government was not in favour of what he termed as a lifelong ban on the entry of women. He clarified that Rule 3(b) of the Kerala Hindu Places of Public Worship (Authorisation of Entry) Rules were not rooted in any custom. He urged that the validity of the customary practice was to be considered in the light of Article 13(1). He expressed reservations about the expansion of untouchability to cover ban on women entry, as suggested by the Amicus Curiae. It was his view that untouchability is based on caste and any further interpretations or connotations ascribed to it may not be desirable, making the practice a criminal offence. Next was the turn of the Travancore Devaswom Board, which is in control of the administration of the affairs of the temple, as per the provisions of the Travancore-Cochin Hindu Religious Institutions Act. The decision of State of Kerala to support entry of women of all age groups to the Temple had put the Devaswom Board in a spot. 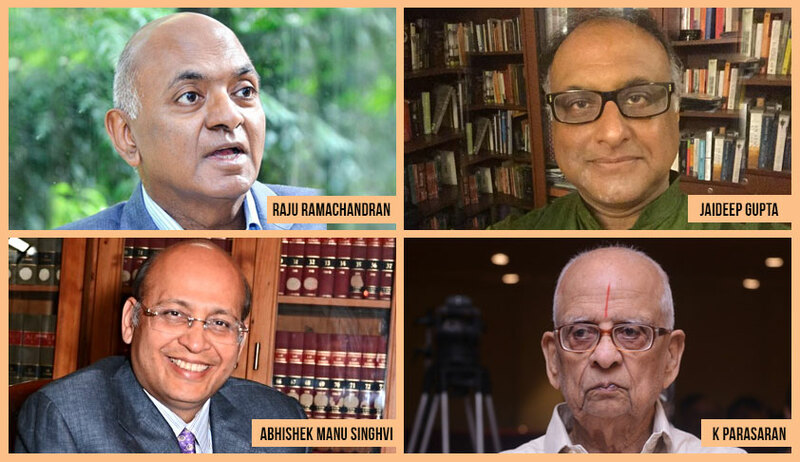 Senior Advocate Abhishek Manu Singhvi, representing the Devaswom Board, justified the impugned practice as being a bonafide one, one originating from the character of the deity at the Sabarimala Temple. Lord Ayyappa was a celibate for life, a ‘Naishtika Brahmacharya’, and the practise was firmly rooted on this belief of hordes of devotees. Refuting the contentions that the ban was gender-based discrimination, he said that observance of 41 days of penances was essential for undertaking a pilgrimage to Sabarimala. It was an essential religious practise. It was not physiologically feasible for women to complete the 41 days of penances. Dr. Singhvi argued that the parameters of impurity may differ- Churches permit worshippers to wear shoes, while temples do not. He submitted that practices based on menstruation were spread across culture. At this juncture, Justic Nariman asked about the rationale of fixing the age group as 10 to 50 in the notification, as there could be women who might be at menopausal even before 50. Singhvi agreed that the notification could have been better worded; however, added that the concept underlying the notification was unimpeachable, regardless of the wordings of the notification. He mentioned that there were several other temples Ayyappa temples in Kerala without any restrictions on entry of women. "Why do they (petitioners) insist on visiting Sabarimala?" he asked. "Because they believe in the deity", quick came the response of the CJI Dipak Misra. He commented that despite there being innumerable Lord Jagannath temples, Puri continues to attract worshippers in large numbers. Backing Singvhi's contentions, Senior Counsel K. Parasaran added that Lord Ayyappa in Sabarimala had his own character and personality, distinct from other Ayyappa deities. He said that in the other temples Lord Ayyappa was depicted as being married, as opposed to the peculiar case of the Sabarimala Temple. In response, Chief Justice reflected that one visits a temple by virtue of their belief and devotion. "The onus to prove the rationality and reasonableness of prohibition would be on those imposing the prohibition", the Chief remarked.